New Delhi [India], May 31 (ANI): Former Meghalaya chief minister Mukul Sangma's daughter and Congress candidate Miani D Shira on Thursday won the Ampati Assembly bypoll. Shillong (Meghalaya) [India], Feb. 4 (ANI): The Congress Party on Sunday submitted a letter to the Meghalaya Governor naming Mukul Sangma as the leader of the Meghalaya Congress Legislature Party. 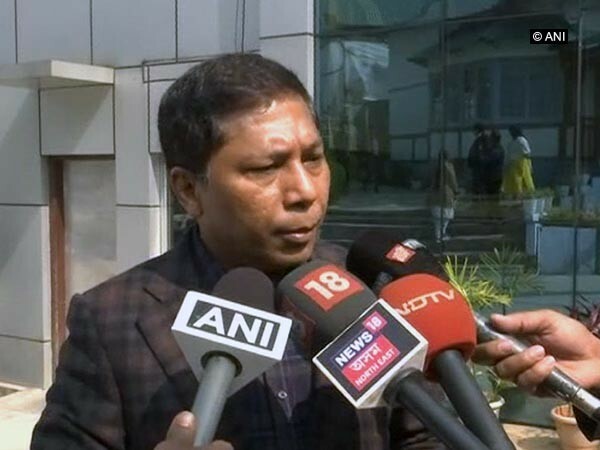 Shillong (Meghalaya) [India] Mar 04 (ANI): Mukul Sangma submitted his resignation from the post of Meghalaya Chief Minister on Sunday. Shillong (Meghalaya) [India], Mar 4 (ANI): Meghalaya Chief Minister Mukul Sangma on Sunday hit out at the Bharatiya Janata Party (BJP) and asked it to respect the mandate of the people. Shillong (Meghalaya) [India], Mar 03 (ANI): Meghalaya Chief Minister Mukul Sangma has won from both Ampati and Songsak constituencies, in Assembly elections. Williamnagar (Meghalaya) [India] February 20 (ANI): Union Home Minister Rajnath Singh on Monday said murder of a Nationalist Congress Party (NCP) candidate highlights lawlessness in the Congress ruled Meghalaya. Songsak (Meghalaya) [India] February 19 (ANI): Union Home Minister Rajnath Singh on Monday termed alleged lack of development in Meghalaya as a 'cruel joke' and said that if the Bharatiya Janata Party (BJP) is voted to power, the state will usher in an era of development.